All materials have been prepared for general information purposes only to permit you to learn more about our firm and our services. The information presented is not legal advice, is not to be acted on as such, may not be current and is subject to change without notice. You also should not rely upon the transmission of an e-mail message to an attorney through this website to create an attorney-client relationship. The transmission or exchange of information will not do so. Without an attorney-client relationship in the matter, we cannot assure you that your communications will be privileged or (unless we otherwise agree in a specific case) that we will treat them as such. Please do not send us any confidential or sensitive information until you speak with one of our attorneys and obtain prior written authorization to send that information to us. Unless otherwise expressly specified, the attorneys listed in this website are not certified by, or certified as specialists or experts by, any professional or governmental agency or authority. Designations of our firm’s practice areas, or of expertise, practice concentrations or specializations of our attorneys are not intended (1) to suggest or represent the contrary, or (2) to suggest any professional or governmental standard by which such experience is measured. This website is not intended as advertising or solicitation in any jurisdiction where the site would be so characterized and fail to comply with all applicable laws and ethical rules of that jurisdiction. 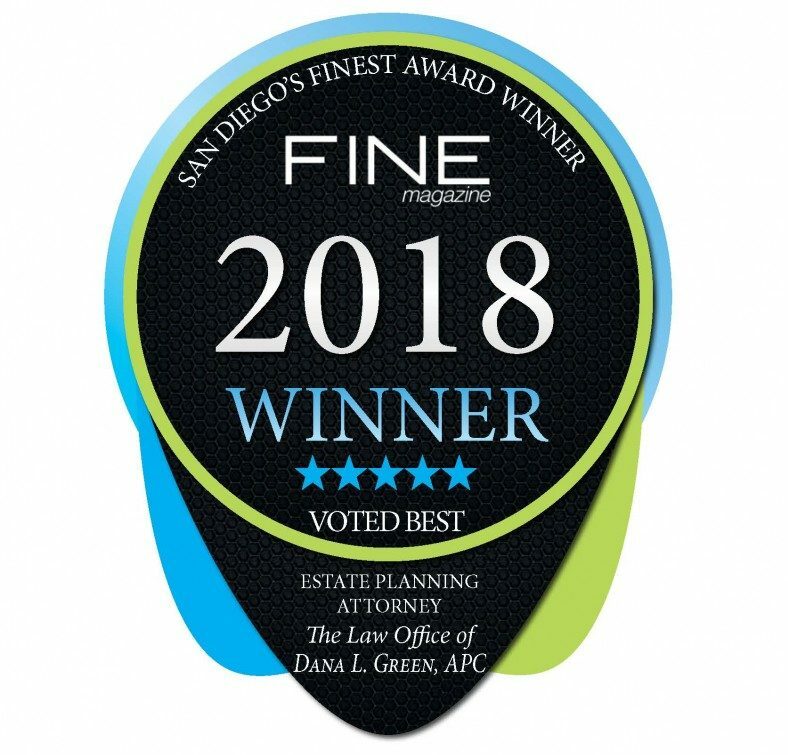 The Law Office of Dana L. Green, APC does not seek to represent anyone based solely upon a visit to this website or upon advertising, or where to do so would not comply with applicable local laws and rules. We may from time to time, directly or indirectly, provide links to or accept links from websites of other parties for convenience. We do not control or maintain the material presented by other persons in their websites. The inclusion of any link on our website does not imply any association or relationship between The Law Office of Dana L. Green, APC and the person sponsoring the linked site and does not constitute or imply any endorsement, approval or sponsorship of the linked site by The Law Office of Dana L. Green, APC, or the endorsement, approval or sponsorship of The Law Office of Dana L. Green, APC by the sponsor of the linked site. The links do not imply legal authority to use any protected rights of others reflected in the links. We do not vouch for or assume any responsibility for the content, accuracy or completeness of material presented directly or indirectly in linked sites. If you use any of these links, you will leave our site. The information presented on this website is provided “as is” without representation or warranty of any kind — as to suitability, reliability, applicability, merchantability, fitness, non-infringement, result, outcome or any other matter. We do not represent or warrant that such information is or will be always up-to-date, complete, or accurate. Any representation or warranty that might be otherwise implied is expressly disclaimed. Unless otherwise noted, all materials, including but not limited to images, illustrations, designs, icons, photographs, video clips, software, and written and other materials that are part of this website or any other Dana Green website are protected under copyright laws and are the trademarks, trade dress and/or other intellectual properties owned, controlled or licensed by The Law Office of Dana L. Green, APC. You may download and view material on this website for your personal, temporary, non-commercial viewing only. No part of these materials may otherwise be copied, reproduced, stored, republished, uploaded, posted, transmitted, or distributed in any form or by any means, electronic or mechanical, now known or hereafter invented, without the prior written permission from The Law Office of Dana L. Green, APC. Any disputes concerning this website and the information in or use of it shall be governed by California law (without regard to conflicts of law principles), and any proceeding which may arise out of or in connection with this website shall be brought solely in a court in San Diego, California.